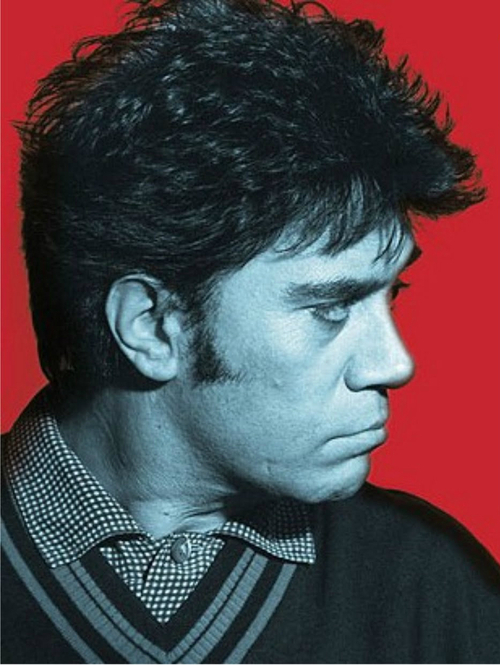 Pedro Almodóvar Caballero was born in Calzada de Calatrava, Spain, a rural small town of Ciudad Real, a province of Castile-La Mancha in the administrative district of Almagro, on September 25th, exactly 63 years ago. He is the most successful and well-known Spanish filmmaker of our time (some would say ever), has won many awards worldwide (including a couple of Oscars) and has kick-started the careers of many international stars: Penélope Cruz, Javier Bardem and Antonio Banderas are three actors that broke out in Almodóvar films. His stories seamlessly blend drama, dark humor, identity, sexuality, deviation, music, crime, family, love, revenge and color. He’s an icon, a master and a genius. ¡Feliz cumpleaños, Pedro! Please go here for a fantastic scene from my favorite Almodóvar film (my favorite film, period), Volver, where Raimunda (Penélope Cruz) sings a flamenco version of Carlos Gardel’s tango (also named “Volver”), while her dead mother (a superb Carmen Maura), who taught her the song, listens from afar and can’t help but be moved by her daughter’s talent. Great post, I need to watch more of his stuff after reading this. Thanks for the heads up, Fernando. Nice shout out Fernando. As you know, I’m a big fan. Happy Birthday Pedro! Thanks, Mark! He’s awesome. Here’s to 63 years more! Somehow the title of this post makes me go ‘Vote for Pedro! !’ 🙂 Great tribute Fernando, nice to see a Spanish director being so successful in Hollywood. Thanks, Ruth! He deserves all the applause he’s gotten and more! You should dig deeper! Volver is awesome, man. Please check it out. The Skin I live In is another one of my favorites. I’d also recommend All About My Mother, Live Flesh, Kika, Women on the Verge of a Nervous Breakdown and Talk to Her. I was hooked right after watching Volver, my first Almodóvar film, but sadly the only film I’ve seen of his after that was Abrazos Rotos. I certainly need to catch up on him soon. Great post – and feliz cumpleaños to Pedro! Thanks Mette. Glad you like Volver; I love that one so much. Please check out more of his work. Last year’s La Piel que Habito was awesome.